I am currently trying to finish off the thesis. 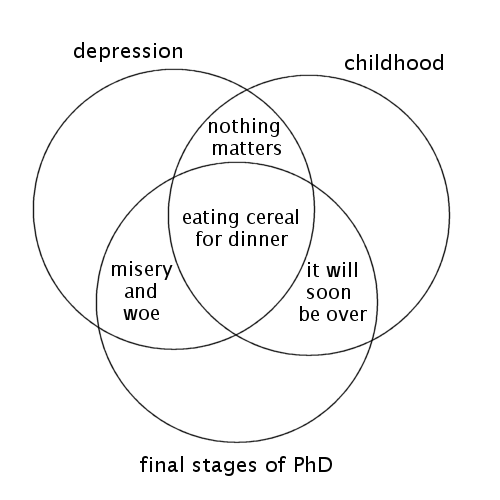 In a moment of despair, I decided to attempt to summarise my life in the form of a Venn diagram. I am intimately familiar with all three of these things (admittedly, less so with “childhood”) and sometimes all you can do is make an (admittedly crappy) joke out of it.